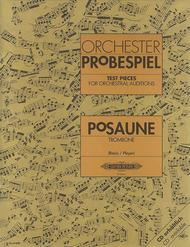 The present edition contains those passages which a musician is expected to have at his or her command before being accepted into an orchestra. 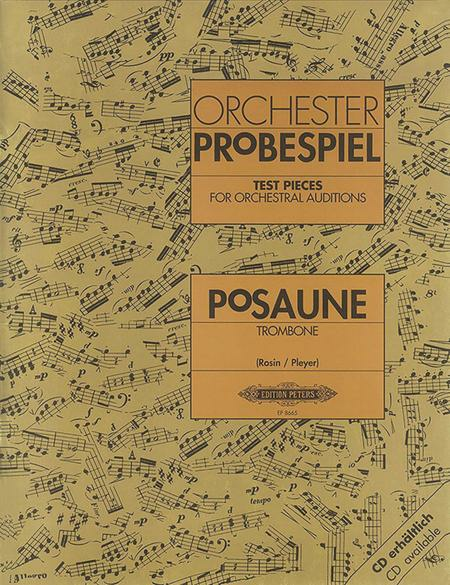 Unlike many existing 'orchestral studies', this collection focuses on the material commonly used in auditions. It thus forms a foundation for the practical training of young orchestral musicians, and serves professional musicians as a means of practicing difficult passages. Tenor selections are a bit better. Especially late romantic, modern, and later German excerpts that you can't find anywhere else. I think this collection could be updated--The Bass Trombone Excerpts in particular. This is published by a german company, therefore it is comprised of mostly german/german speaking composers (some you may not have heard of). I felt it was about a 50/50 ratio of quality pieces vs. unknown pieces.